A witch on the Scottish heath is interrupted in her work by an unexpected visitor. A visitor who is alternately curious, irritating, helpful and distracting as the witch goes about trying to fulfill her role in the rise and fall of a certain Scottish noble. A role that seems to be constantly on the verge of spinning out of control thanks to her ever troublesome visitor. Which is the stronger bond…brother or mother? 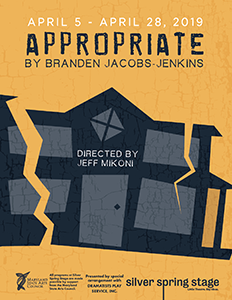 An intelligent, dark comedy that examines simple yet universal themes. While helping to clean out the family home, a daugher discovers what may be an Olympic metal, which her mother improbably insists she won in the 1968 Games but never mentioned. Trapped in a cliche American diner in a cliché American town, three cliché characters watch as Barack Obama wins the presidency. Egged on by the diner’s lonely Old Man and mocked by its Hispanic-looking Cook, the naive Waitress allows this victory to raise her hopes that her life will finally improve. But when the money she thought she had saved disappears — yet again — she is forced to face that she and the others are stuck in their hackneyed and threadbare world, no matter what clichés the politicians promise. An old-school drill sergeant takes his new recruits for a cadence-singing run…straight into a brave new world of political correctness. Nothing goes to plan when a player brings home a people-please to meet “them”: Daisy and Mr. Cuddles. The pets observe a human date in this anthropomorphic comedy. Andy, a young man, is a prisoner of sorts—a patient in the Whispering Oaks Sanitarium, a private mental health institution. In the crook of his arm is a small brown teddy bear he calls Teddy. Teddy seems to see things that others miss. If Teddy is only Andy’s alter ego, why does he seem to know everybody’s secrets? Cinderella is also Julie, 38, Josh’s girlfriend of five years; she moved into Josh’s house a year ago. Attractive, single, and anxious to be married and start a family. Is Josh her Prince Charming? Will her adult daughter, who hasn’t worked in three years, be a barrier? Will Julie’s fairy godmother come to the rescue? A delightful and thoughtful comedy. On the verge of a breakthrough, Cove is welcomed into an ancient circle she never knew existed. But the bonds of sisterhood are only as strong as we make them, and every club has its rules. Two young women, a somewhat insecure violinist and a more brassy dancer, form an unlikely friendship and help each other build confidence just before a life-changing audition to a prestigious conservatory.